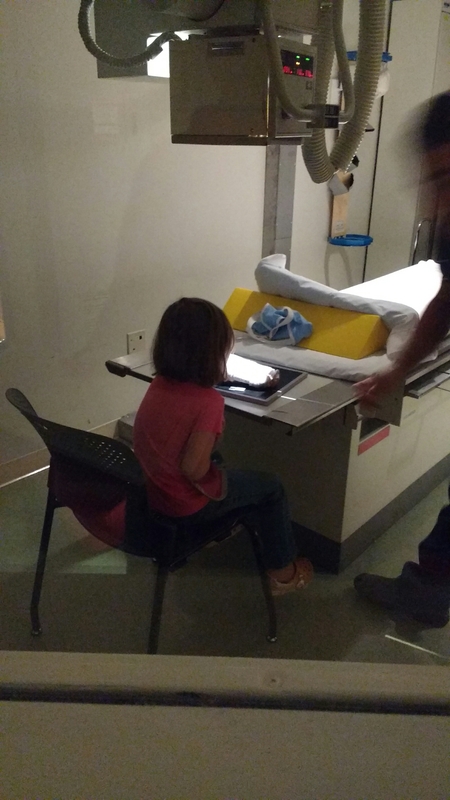 Today was Eleanor’s follow up appointment. 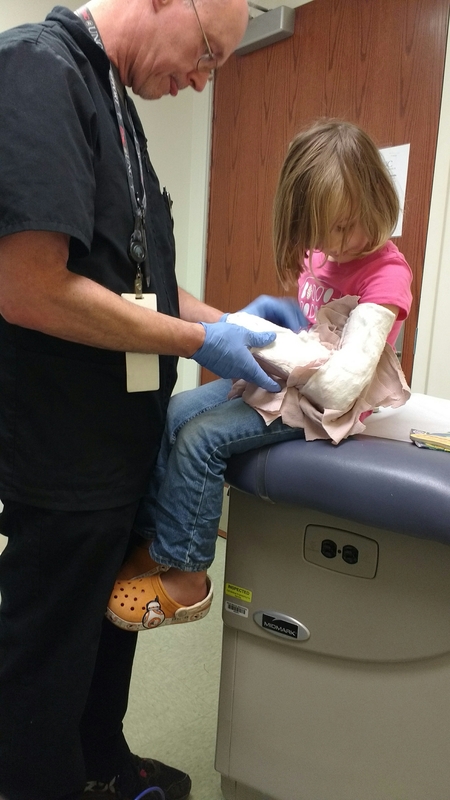 I took photos of her x-ray, the splint coming off (just the ace bandage actually, the plaster stayed on), and the new cotton and cast casing going on. Her x-rays looked good. The bones are in the right position. 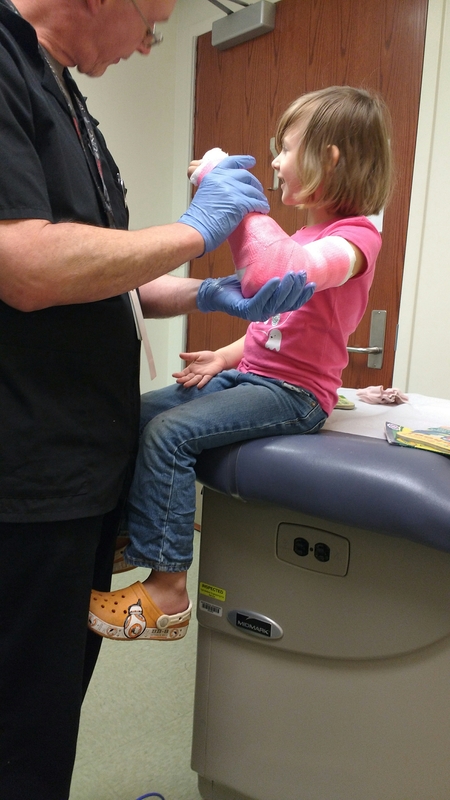 This is the removal of the bandage. More removal. You can see the upper arm portion has been taken off. It is U shaped, with the bottom of the U under her elbow. The new cotton going on. Pink! Rainbow wasn’t an option. When she asked why, the guy told her it was because the government wouldn’t pay for it, which…okkkaaay. 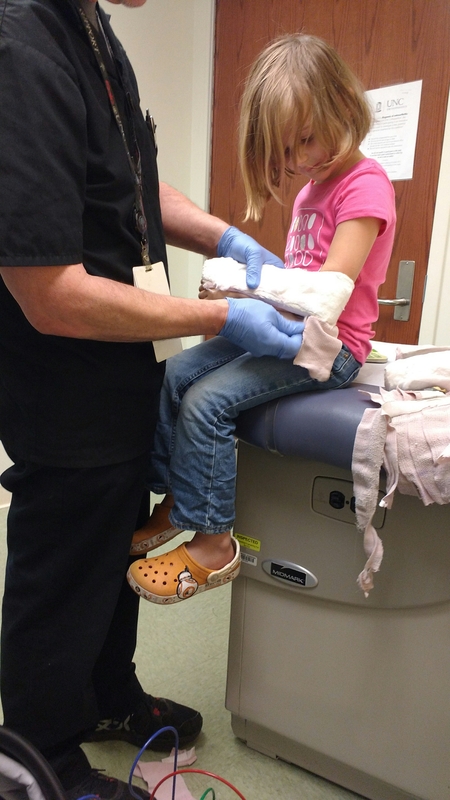 When he started cutting the bandage she said she was getting scared, but she quickly calmed down and was very brave. We will go back every week for 4-6 weeks until they say we are all done. Brave girl! She looks so grown-up too! It’s the haircut! She looks like such a big girl suddenly. Ahhh poor Ian! How did he do it? He’s about 3 now? He fell from a height of about 3 feet, just like Eleanor! Stuck his arm to catch himself as he fell off of our bed. He will be three in January. He’s not quite old enough to really understand why he has a cast, and why we can’t just take it off. 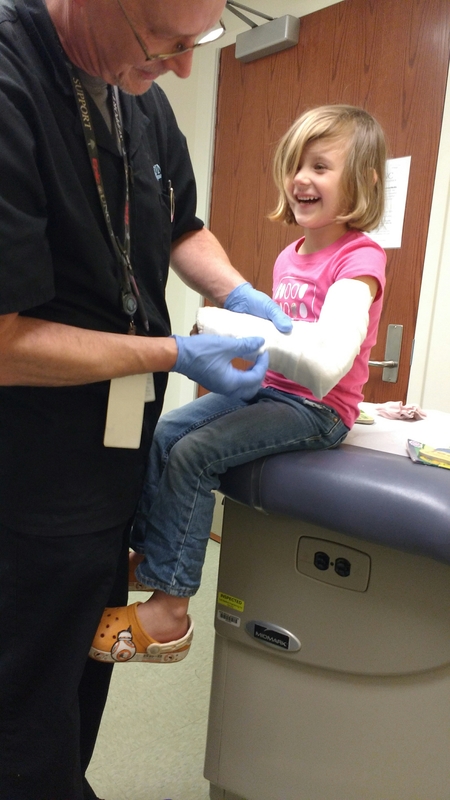 He knows he broke his arm, but I don’t think he understands that the cast is “fixing” it, and once it’s fixed, we will take off the cast. Oh the poor fella ❤❤❤ give him some snuggles for me. It’s so hard when they just don’t understand.